California Pizza Kitchen Introduces Five Vintage Pizzas! 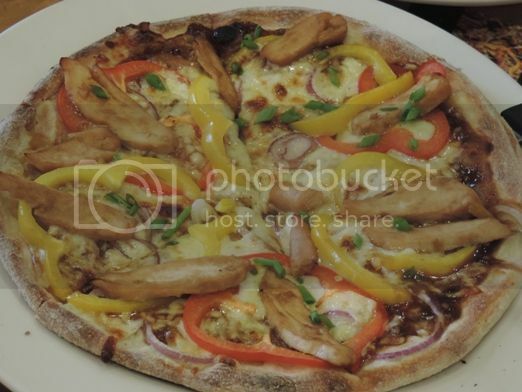 At a media launch held at their Greenbelt 5 branch last Wednesday, California Pizza Kitchen (CPK) introduced five of its original pizzas to the press and bloggers present at the event. CPK’s Vintage Pizzas, namely, the Goat Cheese Pizza, Peking Duck Pizza, Tostada Chicken Pizza, Santa Fe Chicken Pizza and Teriyaki Chicken Pizza, are staging a comeback with an exciting twist—they’re all made from hand-stretched pizza dough. What’s Special about Hand-Stretched Pizzas? According to Archie Rodriguez, President and CEO of Global Restaurant Concepts Inc., the local partner of CPK, “hand-stretched pizza is the traditional and authentic way of making pizza, the original way CPK made it when we first started.” There may be no obvious physical difference between hand-stretched pizza and machine-pressed pizza, but in reality, hand-stretched pizza makes the crust light, soft and crispy. If you’ve never had grilled eggplant as pizza toppings before, then Goat Cheese Pizza will give you the chance to try it. 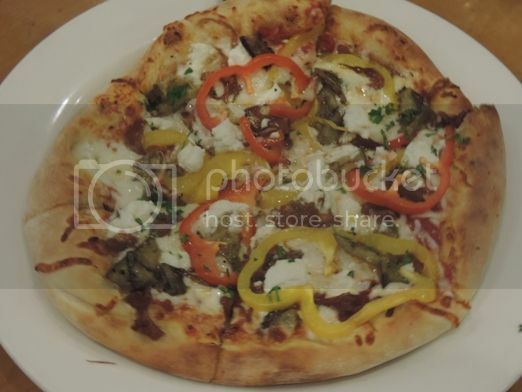 This is a vegetarian pizza made with goat cheese, mozzarella, sautéed onion, grilled eggplant, red and yellow peppers with tomato sauce and garnished with parsley. Fancy some Peking Duck? Then, grab a slice of CPK’s Peking Duck Pizza. It has roasted duck, Shiitake mushrooms, mozzarella and hoisin ginger sauce, garnished with fried wontons, hoisin ginger sauce and slivered scallions. 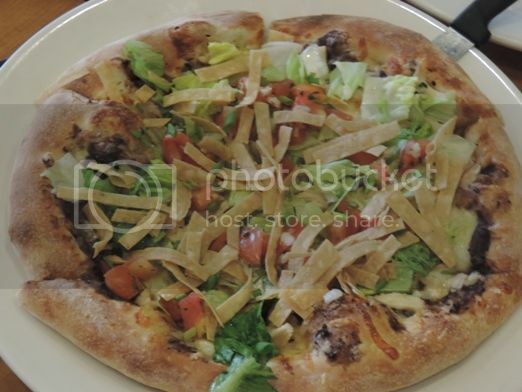 If you want pizza with a crunch, then you should have the Tostada Chicken Pizza. It features Southwestern Black Beans, Monterey Jack, Queso Quesadilla and grilled chicken breast, topped with lettuce, chunky fresh tomato salsa, ranch dressing, scallion greens and crispy tortilla strips. 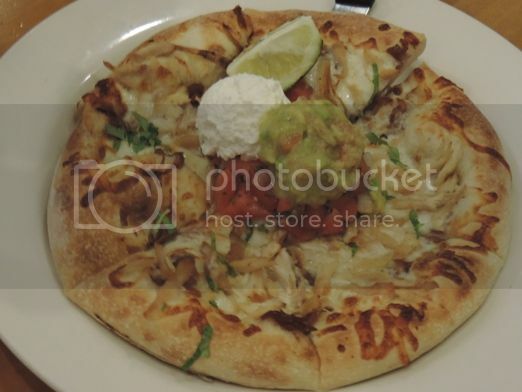 Santa Fe Chicken Pizza is another Tex-Mex offering of CPK with grilled chicken breast, caramelized onions, mozzarella cheese and topped with cilantro, chunky fresh tomato salsa, sour cream and fresh guacamole. 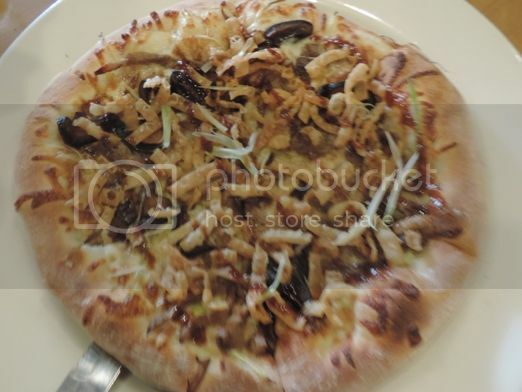 You’ll love the Teriyaki Chicken Pizza for its distinct flavor and luster. It’s made of teriyaki chicken strips, Mozzarella, Queso Quesadilla, red and yellow peppers, red onions, and slivered scallions with a teriyaki-ginger sauce. These five Vintage Pizzas from CPK’s original menu will become available in all nine stores nationwide starting July 1. If you’re going to ask me which of these five Vintage Pizzas I like the most, I must say the Goat Cheese Pizza and the Santa Fe Chicken Pizza. CPK is also having a Vintage Pizza Passport promo. Here’s how it works: You’ll be given a Vintage Pizza Passport if you order a vintage pizza. You get a stamp in your passport for every purchase of a vintage pizza. If you try out all five vintage pizzas, then you can exchange your fully stamped passport for P500 worth of CPK gift certificates. This promo runs until August 31, 2013. To know more about Vintage Pizzas, visit any of the CPK branches in Alabang Town Center, Shangri-La Plaza Mall, Greenhills Promenade Mall, TriNoma, Power Plant Mall, Greenbelt 5, Lucky Chinatown Mall, Subic Harbor Point Mall and W Global Center in Bonifacio Global City, or like CPK on Facebook (https://www.facebook.com/CPKPhilippines). This entry was posted in California Pizza Kitchen, Californian Cuisine, Food Friday, Food Trip Friday, Greenbelt 5, Vintage Pizzas. Bookmark the permalink. 6 Responses to California Pizza Kitchen Introduces Five Vintage Pizzas! Now that looks good to me. I love pizza and with so many healthy variations this day I don’t mind it eating every day. Wow they introduced new varieties to their pizzas. It looks delish! Thanks for sharing. I love CPK pizzas I want to try this new flavors! Thanks for sharing! WOW! Those are very interesting pizza flavors! bakit hindi ako kasama? hahaha I’d love to try the peking duck pizza..